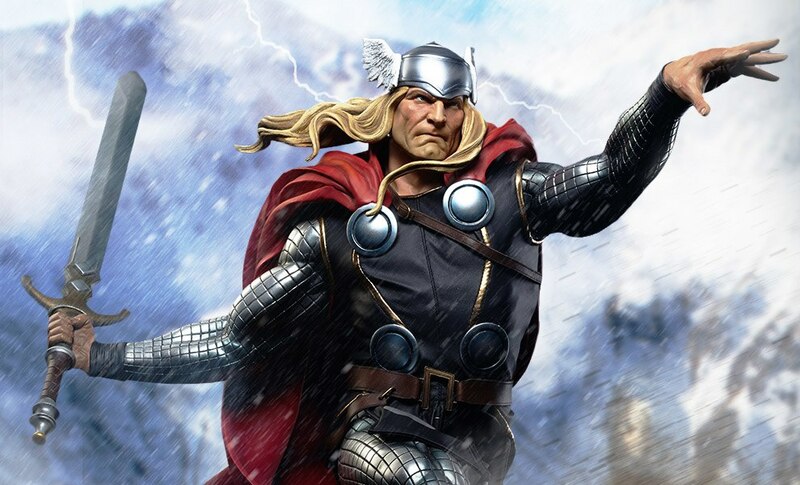 "I am Thor! 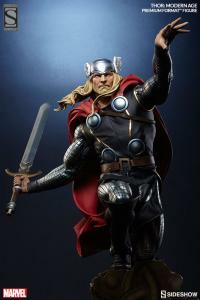 Son of Odin, God of Thunder!" 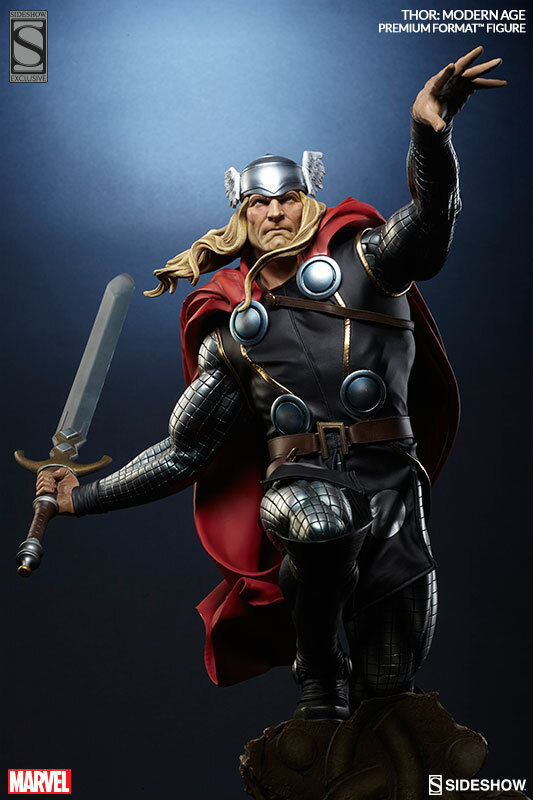 From the pages of Marvel Comics, Sideshow Collectibles is proud to celebrate Thors contemporary look with the Thor Modern Age Premium Format Figure. 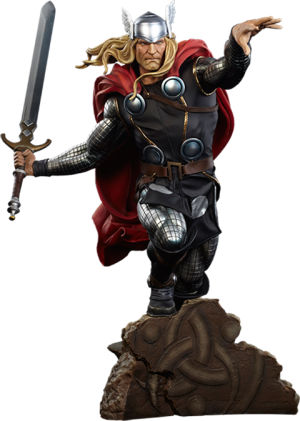 A champion among gods and men, and one of Earths Mightiest Heroes, the Asgardian Avenger is renowned across the Nine Worlds for his bravery, strength and fury. 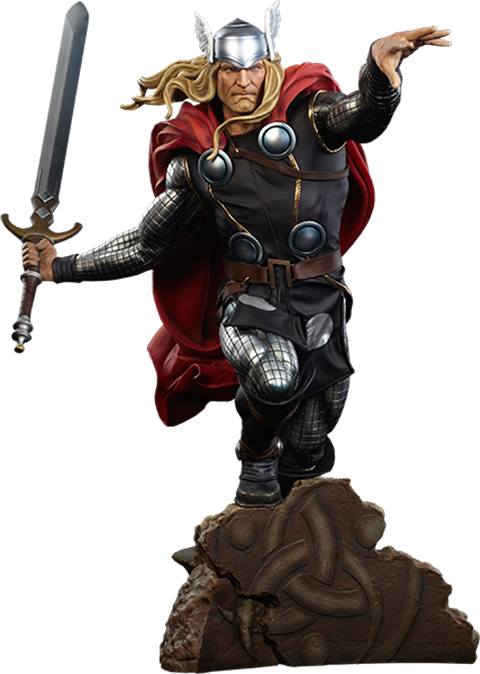 Inspired by costume designs defined by Marvel artist Olivier Coipel, the warrior god launches onto the battlefield in a dynamic composition wearing his winged helmet, intricately sculpted metallic mail, a hand-tailored fabric tunic with gold piping and armor disc plates. 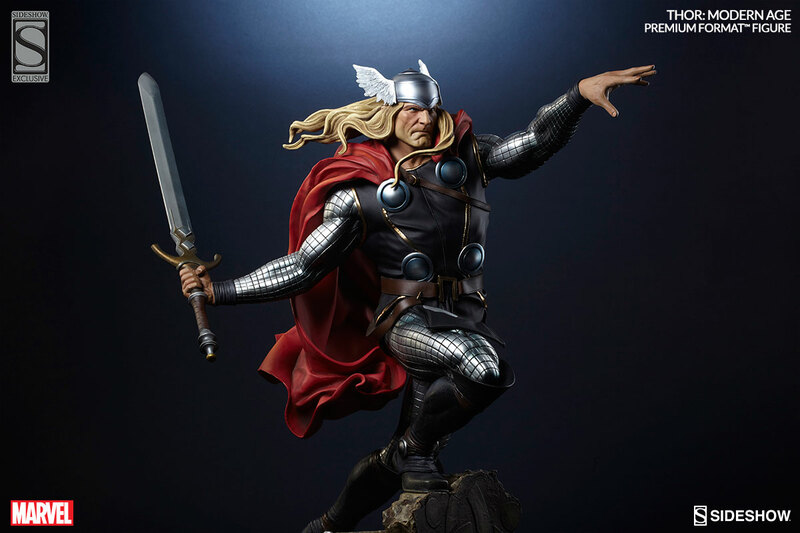 With his dramatic sculpted red cape billowing out behind him, collectors can display Thor delivering a mighty blow from the divine hammer Mjolnir, or the all-powerful Odinsword, Ragnarok. Fierce determination etched on his face, it is plain to see that Thor will stop at nothing to defend those who cannot defend themselves. This is my first Thor piece and was a day one pre order for myself. It's well sculpted. The portrait is beautiful. Paint app was great. You'll either love or hate the pose. The left arm takes a bit to get set right in his body but I'm very pleased with the statue.